Navy blue canvas wash bag with blue camouflage interior. Earn up to 15 Reward Points for this item. 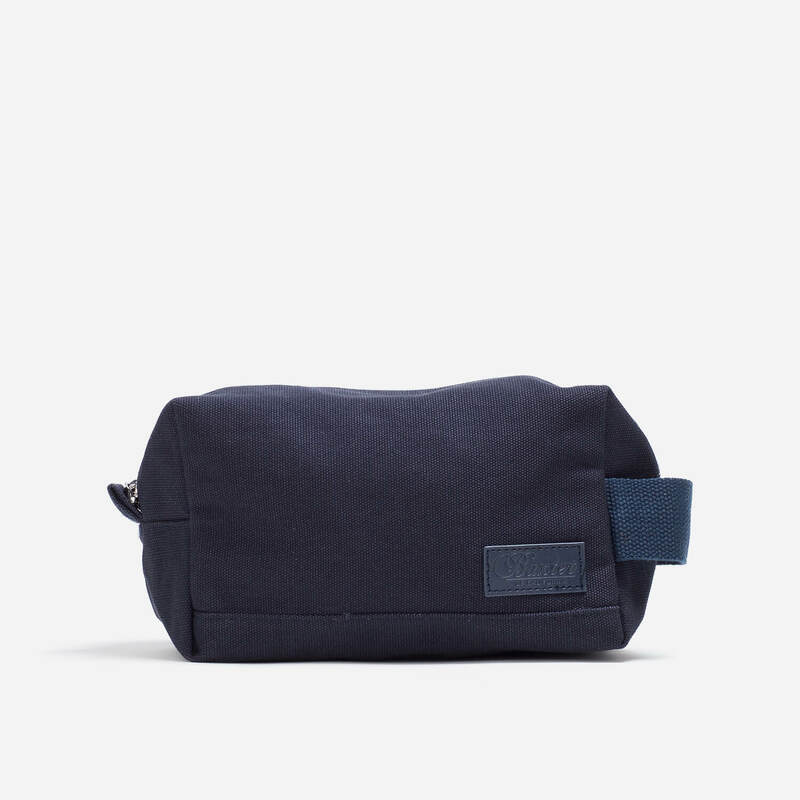 Navy blue canvas wash bag from Baxter of California. The bag has a blue camouflage design interior and is large enough to carry most of your every day toiletries.